Happy Monday! 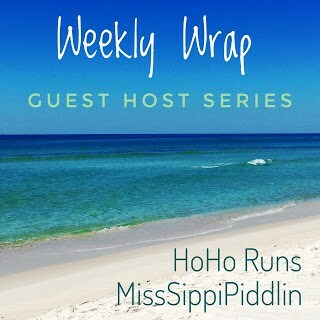 It’s time for the Weekly Wrap with HoHo Runs and MissSippi Piddlin, guest hosted by Kim! Summer is a bit of a double-edged sword for me. 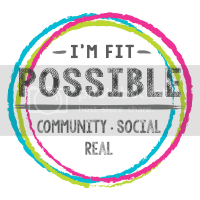 We have been having a grand ol’ time, checking things off our summer bucket list and having fun, but it means that I am way behind on blogging, too. Boo. Writing and blogging is such a great release for me, but there have been too many nights where I sit down and am unable to put words together. I’m not going to beat myself up over it. Family first, after all, and we are having a blast. Also, my schedule just filled up a little more. I have taken on a Committee position with the PTA for little man’s new school and stepped up as co-Leader for his Cub Scout Den. These are both going to be pretty time-consuming, and I am hopeful that I am up for the challenge. Wish me luck. After a bit of a late start, we packed the car and drove to the Hammock Beach Resort. We had a complimentary night’s stay after some issues with a visit last summer, and we were excited to give it another try. We went straight to the pool, ordered lunch and drinks and met up with our friends. It had been such a hectic week that it was nice to just chill and relax. Our room wasn’t ready til about an hour after checkin time, which was annoying, but once we were in and showered, everything was wonderful. Both times, we’ve had an incredible view. Mr PugRunner went out to pick up dinner from an Italian restaurant that he loves, and we ate it in our friend’s villa (they have a larger family so they got a location with several bedrooms, living room and full kitchen). The morning started at the beach, and then we moved back to the pool. The kids had a blast moving from the main pool, to the slide, to the lazy river. By mid-afternoon, a pretty substantial storm system had moved in, so we packed up our things and made the drive home. Of course, an ice cream stop was necessary. The weather was actually not appalling for the first time this summer, and my run reflected it. Yay! Mr PugRunner and I don’t often get the chance to run together, so we took advantage of it. We are doing a 5K as a family in a few weeks and Mr PugRunner needed to get in some miles. That evening, I went to my first Cub Scouts leadership meeting. It was incredibly overwhelming, and I fully admit to having zero experience in anything to do with Cub Scouts (apparently, this is the year that is “less crafty” and “more scouty” which means we have to tie knots and build fires, and I assure you I know absolutely nothing either), but I am really throwing myself into this so that little man’s experience with it continues to be good. I’m going to need tons of good thoughts. This was a long day. I was up late the night before, had to squeeze in my run super early, get through the rush hour commute for a Brooks clinic, then head off again to pick up little man. He had been staying with my parents after our Hammock Beach trip and I missed the heck out of him. We got some time in at the beach and I was more than happy to get home, get cleaned up and chill out for the rest of the day. Little man and I spent the morning doing a whole lot of nothing. That afternoon, we picked up his bestie and her parents, and set off for dinner and to surprise the kids with the Dan TDM Live show. We had conspired to buy tickets months ago, and they had no idea (Dan TDM is one of their favorite YouTubers. He lives in Great Britain with his wife and two pugs, and somehow makes a small fortune over filming himself playing MineCraft. I don’t get it, but I allow it because of the pugs). We spoiled them with t-shirts and stuffed pugs, and while it was the longest two hours of my life, they had an absolute blast. Which is all that matters. It was hard dragging myself out of bed on Saturday morning. I am no longer quite so good at staying up late. Blah. However, I slogged through my six miles and felt pretty accomplished by the time I headed off to work. The boys had a little more fun than me at a friend’s BBQ, but I was able to get home on time, pick up some things for the week at the store and get a little downtime, so it all worked out. Miles-wise, I’m feeling pretty good. Especially for the heat of summer. 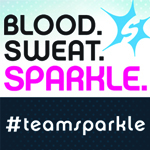 I have a few races coming up: a 5K tomorrow for 4th of July, another one with the family in two weeks, and then I’m considering Tour De Pain in August (that’s the 4 mile beach run on a Friday night, with a 5K road race early Saturday and a 1 mile sizzler Saturday afternoon). I feel like I’ve always done it, so I should, but I guess I’ll just see how I’m feeling. I’m feeling a little overwhelmed with events and deadlines, but I will settle in, too. 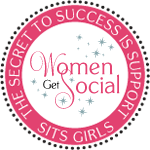 I just seem to be in a season where a lot of things are important to me, so I need to perfect the balancing act to get them all in effectively. That means my cross training and my sleep are both taking the hit, but I’ll get back on top of them. Any special plans for the 4th of July? Do you ever bite off more than you can chew? Love your mix of fun and workouts last week! I have to work today so I don’t have any travel plans for the 4th, but I plan on enjoying some yummy food tomorrow! Yummy food is always good! Have so much fun! Oh, I am so jealous of your beach time! Your summer is off to a fun start, and you said it right…family first. My husband was very involved with all the Scout stuff, from Tiger Cubs up to Eagle for our son. It was “their” time, and they had a lot of fun over the years. We are having a blast this summer. I am really trying to be spontaneous and fun and keep us busy and it seems to be working just fine. I wish Mr PugRunner would have stepped up as Den Leader, but his work schedule makes it a little more difficult for him to be consistent, so here I am. I hope I can do the position justice. I know it’s going to eat up so much time, but it will be owrht it in the long run. I am hopeful that it’s an amazing year for both his school and his scout den. Fingers crossed. Looks like you’re having a great summer, too! It’s not a bad way to spend a morning. There is nothing like chillin’ in one of these floats streaming along the lazy river! That’s what I love about the waterparks the most! Happy Summer! I usually do, but I hate the ones where they add the overhead sprinklers. I don’t want to get wet! I always bite off more than I can chew. Sounds like you’re having a great summer. What a great week and I agree, family first…always! I hope your son loves Cub Scouts. All 3 of my boys started in first grade and are all Eagle Scouts. They are PASSIONATE about high adventure hiking and camping all over the world! The best way to keep him active is to stay involved with and make it fun, not work. You don’t have to go all-out, but we were all of their Den Leaders and then were on some committee or another all through Boy Scouts. We went on just about every campout–either one or both of us–with the boys. There’s nothing like it! He has really been enjoying it and making very nice friends. I just want to make sure his experience remains positive, and since all our Den Leaders had to step back, well… someone had to come forward. Worst case scenario, I learn how to start a fire! I’m feeling overwhelmed these days too and trying to get everything done is really hard! When the boys were little, Mike wanted them to be scouts. But he didn’t want to be involved. I’m pretty sure he wanted me to be involved. This was the one time I put my foot down. I didn’t want to be a den mom. I felt like this should be his thing and if it meant that much to him, then he needed to get involved. Well, guess who didn’t do scouts? I get the sentiment. I do. And I was feeling the same way. However, little man LOVES the scouts, and then stuff they are teaching them is stuff Mr PugRunner and I just aren’t equipped to teach (neither one of us grew up camping or doing anything outdoorsy). It’s been giving him so many skills that are a part of where we live, so I’m willing to step up even if I don’t really want to step up. You do a great job of fitting everything in. Successfully and with great grace, I might add! Good luck with the cub scouts! I was a girl scout leader for 4 years when my daughter was young- it ended up being a whole lot of fun! Keep enjoying the summer, I am sure everything will fall into place! Mary Beth Jackson recently posted…When life gives you Avocados……….